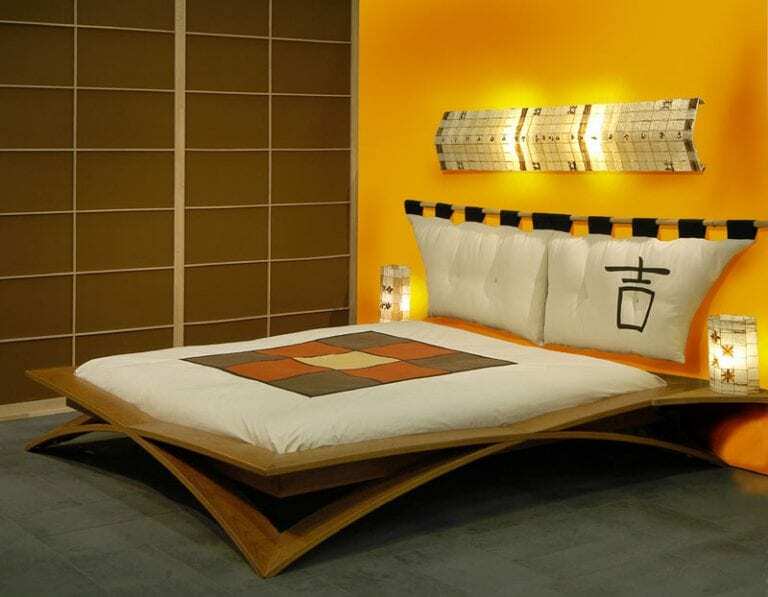 Many designers look for Japanese furniture ideas and see how they can be integrated into a house plan. Even if the entire theme is not of that style, some of the principles behind the look, along with the history, warrant consideration in any home. My mother-in-law has a very traditional home that features everything from antiques to Southern America styles. In her look she has integrated several art prints and a decorative screen and loves these pieces. That’s a great example of why consideration should be given to Zen touches in any floor plan. For those that subscribe to the whole theme, these ten pictures should be enjoyed. The intent of this article is that inspiration will be taken from the furnishings and room designs showcasing such wonderful examples. How about this traditional dining table and chair set. A great thing about these chairs are the cushions. Thus, guests can sit for some time and be comfortable. It has a reclined back so a person can sit that way or hold their back upright. The typical platform bed is low to the ground as it is in this picture. The extra railings at the head and foot of the frame provide extra space for stacking things such as books, reading glasses or smart phones. Isn’t it nice how the bench was integrated with four dining chairs? That is such a smart idea as that bench can be moved anywhere in the home for extra seating as needed. Then the table can be just set for four people such as two couples enjoying a meal. The overhead light is traditional to the country and works well with the dark wood. Notice the prevalence of privacy screens. This is a common design method in these types of homes. I do like how the one has a blue background color. That adds and extra element to the room. The flooring design is great in this picture. It looks so natural and blends great with the other elements.